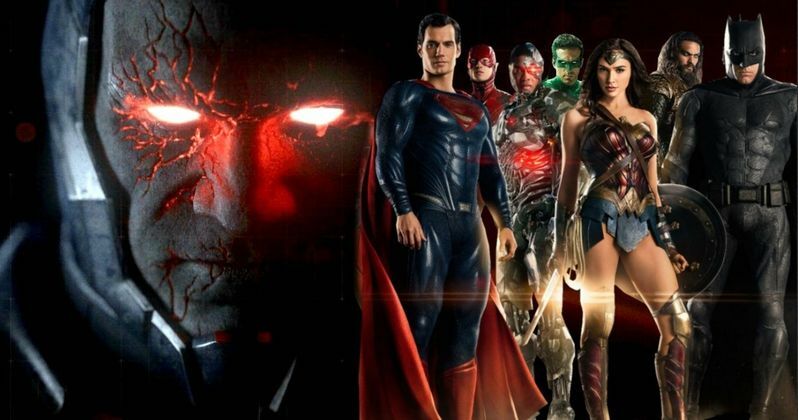 We now know who would have played Darkseid had Zack Snyder made Justice League and its sequel the way he wanted. Much has been made of Snyder's plans for the DC universe that never will be. The filmmaker kicked this universe off with Man of Steel and continued things with Batman v Superman: Dawn of Justice. Unfortunately, come time for Justice League, things got shaky and, eventually, Snyder departed the project, which means Darkseid never actually made it to screen. But had it happened, it's been confirmed that Ray Porter would have played him. Zack Snyder isn't the most active guy on social media. At least not on traditional platforms such as Facebook, Instagram and Twitter. Instead, he likes to occasionally check in with fans over on Vero. Recently, the director posted an image of actor Ray Porter, who has worked on projects such as Argo, Almost Famous, Justified and The Runaways, with the caption "he's the man." Then, in a further reply in the thread, responding to a fan, Snyder explained that he actually was going to use Porter for a very important role in the DCEU. It had previously been rumored that Ray Porter would have played Darkseid, who is essentially Thanos of the DC universe (or Thanos is the Darkseid of the Marvel universe, depending on how one wants to look at it). The character's arrival had been teased in Batman v Superman: Dawn of Justice during the famed Batman Knightmare sequence. Sadly, once Zack Snyder departed the project, Joss Whedon was brought in to do rewrites/reshoots, which changed Snyder's plans dramatically. Darkseid's right-hand man Steppenwolf was the bad guy in that movie, but things stopped there in the version of the movie we saw. Originally, Justice League was billed as a Part 1 and Part 2 sort of thing. Zack Snyder recently revealed some of his plans. The first movie would have somehow opened the door for Darkseid to come in and be the main villain of the sequel. Darkseid would have killed Lois Lane, which would have turned Superman into a very dark figure, as teased in the Knightmare sequence. Ultimately, that sequence never paid off and, as is, remains a perplexing moment in the DCEU, since it never really resolved itself. For Ray Porter, he's a working actor but playing a major villain such as Darkseid in a big, blockbuster comic book movie would have surely been a major break for his career. Maybe Zack Snyder can give him a role in his upcoming Netflix zombie movie Army of the Dead? Despite never seeing Darkseid, the DC brand is doing just fine following the success of Aquaman and Shazam recently. Looking ahead, we've got Joker set for later this year, with Birds of Prey and Wonder Woman 1984 on deck for 2020. Be sure to check out the post in question that was originally posted to Vero below.